writing about running: Diamond Dash: Can Lukas Verzbicas go sub 4:00 at the Jim Ryun Dream Mile? 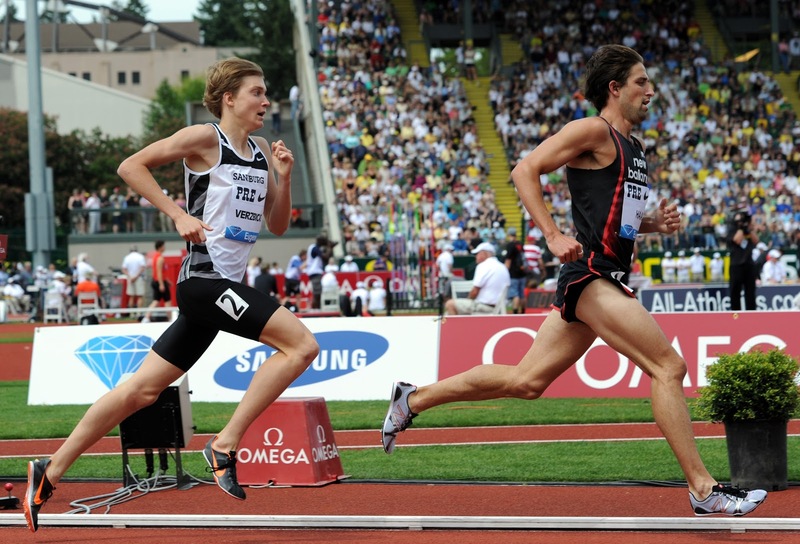 Diamond Dash: Can Lukas Verzbicas go sub 4:00 at the Jim Ryun Dream Mile? After breaking the high school 2-mile record by nearly five seconds at the Prefontaine Classic this past weekend, Lukas Verzbicas has another big goal in mind for this weekend: to become the 5th American high schooler to break 4:00 in the mile. Despite being a Diamond League meet, one of the biggest storylines this coming Saturday at the Adidas Grand Prix in New York City will be Verzbicas' assault on 4:00 during the Jim Ryan Dream Mile within the meet. Lukas has broken 4:00 on 2 different occasions already, but both were on the slightly downhill St. Charles Foot Mechanics Main Street Mile; a road race, not a track event. Verzbicas will have plenty of competition to push him towards the hallowed mark as Trabuco Hills, CA's Jantzen Oshier just ran a 4:00.87 1600m (9 meters short of a mile) at the California State Championship last weekend. Also in the race will be Elias Gedyon (3:45 1500m) as well as the Rosa brothers, Ammar Moussa, Edward Cheserek, Billy Orman and a host of other high schoolers that have run 4:10 and under this year. The meet will be shown on NBC starting at 4pm eastern with possible highlights from the Dream Mile "or the full race depending how good the race is" per Flotrack's Ryan Fenton (The race will be archived on Flotrack as it goes off at 2:40pm). I, for one, think he's got it! Update: Lukas does it! Becomes 5th American High Schooler to go sub 4 with a 3:59.71. Full results here. Full race video here and here's his post-race Flotrack interview.